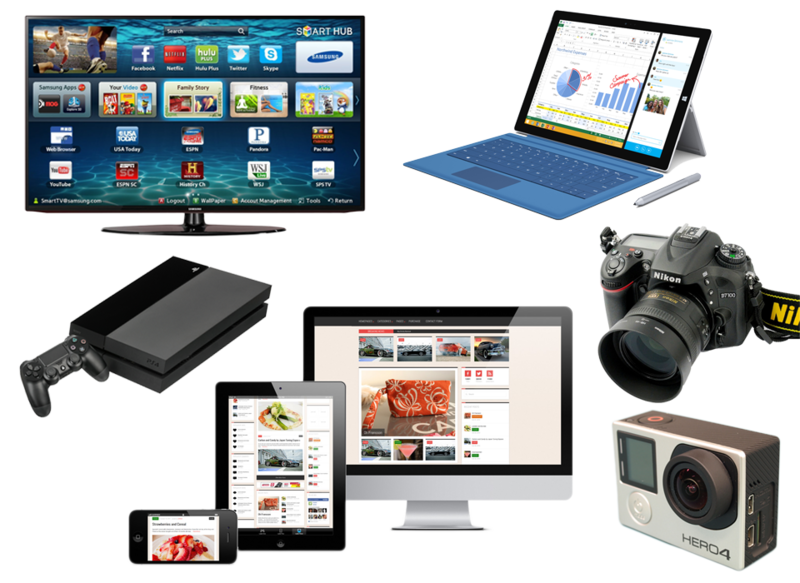 Buy or Pawn on the latest electronic devices. Cash Loans on Tablets, Apple iPad Air 2, iPad Mini Retina, Windows Surface. Cash Loans on Laptops Apple Macbook Pro, Macbook Air, Windows 8 & 10. Buy & Loan on Game Consoles XBOX One, & Playstation 4. Cash Loans on Nikon & Canon DSLR Cameras & GoPro Hero 3, & 4. Buy & Pawn LED Smart Tv’s & 4k Definition Tv’s. We loan CASH on apple iWatch & Samsung Smart Watches. Please make sure your electronic devices are charged and include all accessories. We DO NOT accept devices that are not charged, are missing accessories, or are not fully functioning. Tablets with cracked screens or laptops with missing keys will not be accepted. Due to security features on IOS devices find my iPad must be disabled and iCloud account must be disabled and deleted from device. We no longer accept iPhones or tablets with 4g LTE service. All tablets must be wifi only models. To receive an instant quote on pawning or selling your electronic device please fill out our online form. For more information regarding the whole pawn process please visit our frequently asked questions page.